Despite the fact that insurance policy are usually valid for 1 year, and also has a minimum shelf life (validity) of the policy. What is the minimum? This question should interest the car owners. Why the need for insurance? The insurance policy compulsory. This document will help you to get compensation in the insurance case, which will be equal to 120 (if the damage was caused to the car/cars) or 160 thousand rubles (if at the time of the accident affected people). The issue of insurance is beneficial, since the consequences of the accident, which provoked the driver, partially eliminates the insurance company. Agree, much easier to invest in the repair someone else's car after an accident a half or a third of the cost than the full amount of the whole. How long does a standard insurance policy? It should be noted that the validity of third party liability insurance policy for new cars is one year. The validity of the policy will vary depending on such factors as the age and type of vehicle, driver age and time of accident-free driving. Thus, the driver with 20 years of experience, making out the insurance policy on a newly purchased car, spend a smaller amount than 18-year-old, barely sat down behind the wheel. What is the minimum term of the policy? Insurance is always issued for a year, but there are small nuances. First, you will be able to issue the policy for a period of 15-20 days – that CTP issued in that case, if the vehicle is not put on the account in traffic police and is located in a different region or city. Second, the policy can be issued for 3 months. Officially, the expiration date of the policy will be 1 year, and lifetime use of vehicle – 3 months. This option is convenient for those who like cottages that use your car only in the summer, and the rest take public transportation. Many owners believe that making use of the vehicle for insurance for a minimum period, and then extending the policy, they save, but in fact it is not. It turns out that in a month they pay much more for insurance than drivers who apply for a policy once a year. Despite the fact that the insurance policy cannot be purchased in installments, some drivers do when out insurance on minimum extension. In total they come out with the same amount, they only make it in parts (once in 2-3 months). Do not try to cheat the government! If you do not want to checkout the car, thus wanting to save your money, then you are mistaken. 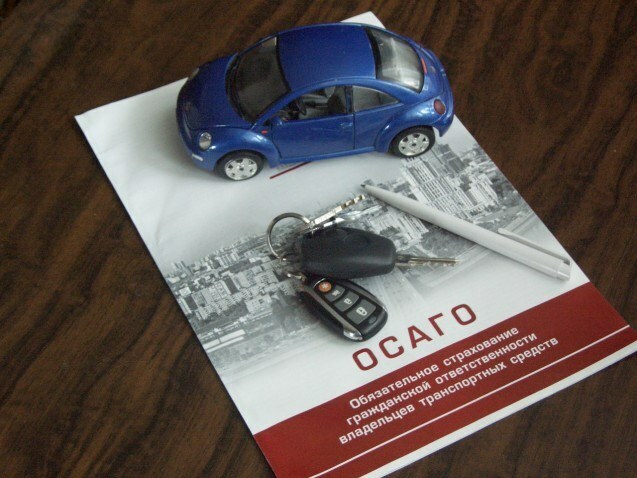 If you even if the vehicle does not enclose the so-called "transit" insurance policy, you risk your money (the fine for driving without insurance policy is from 500 to 800 roubles at a time).